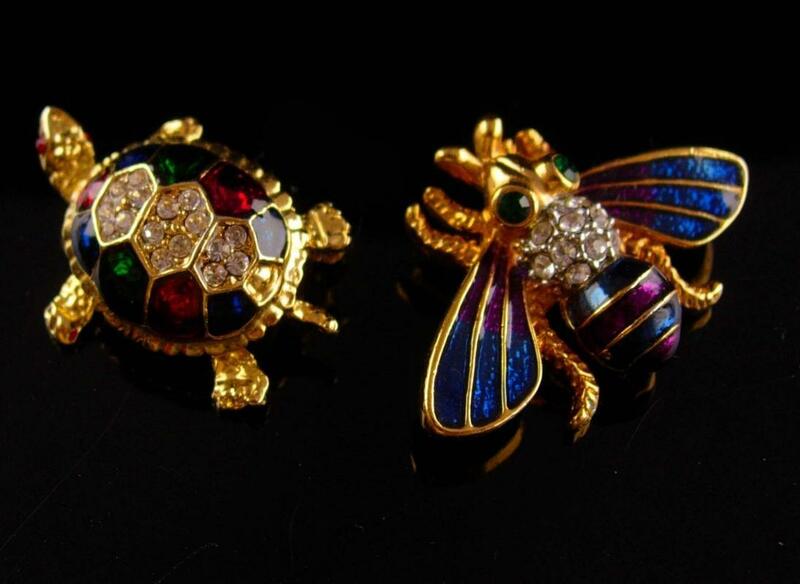 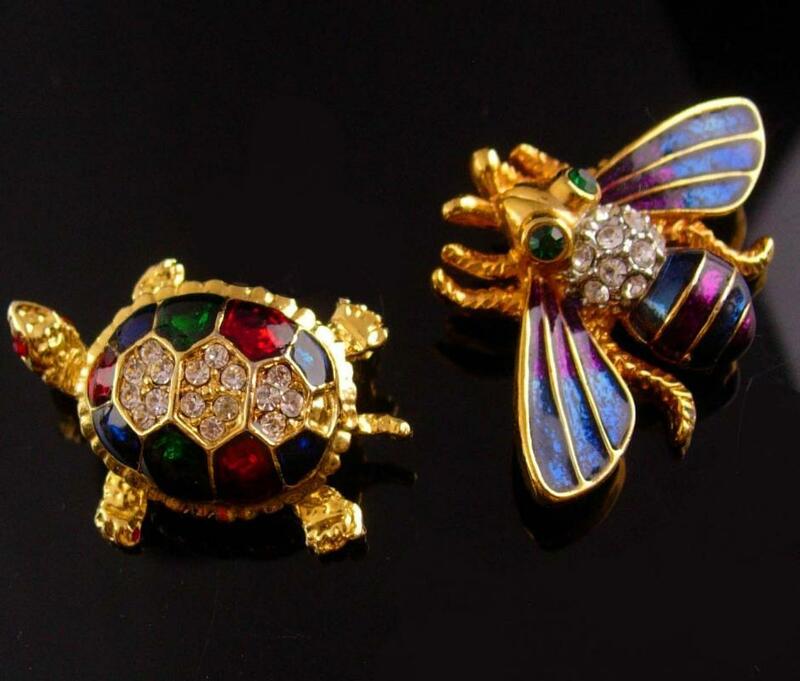 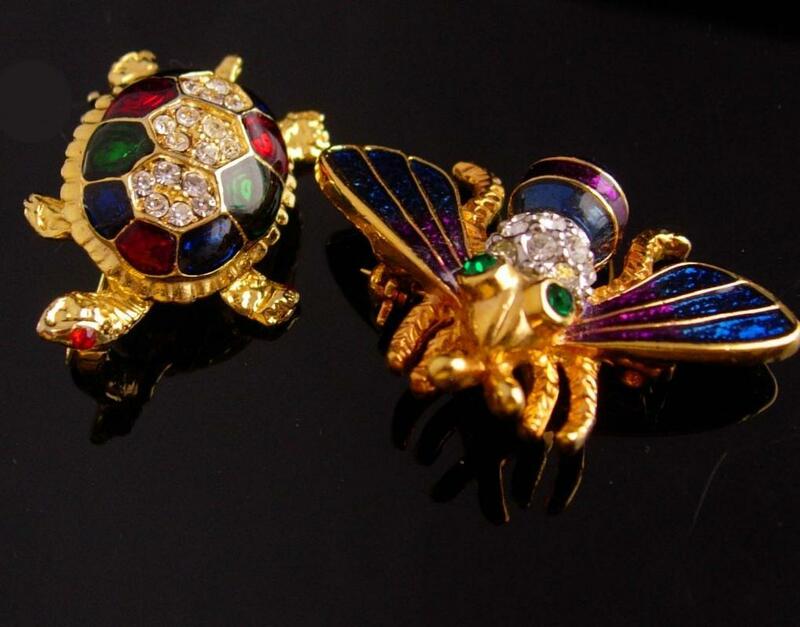 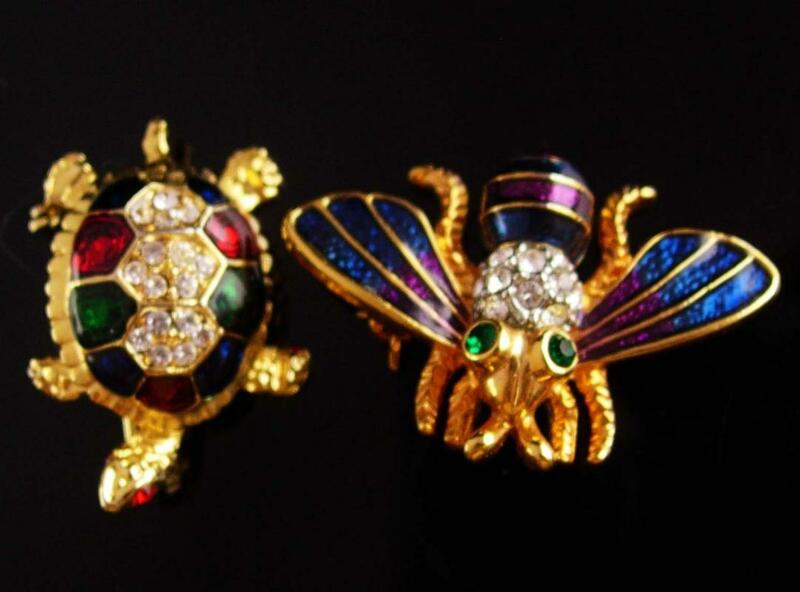 This is a beautifully rhinestone and gold plated honey bee and turtle brooch set. 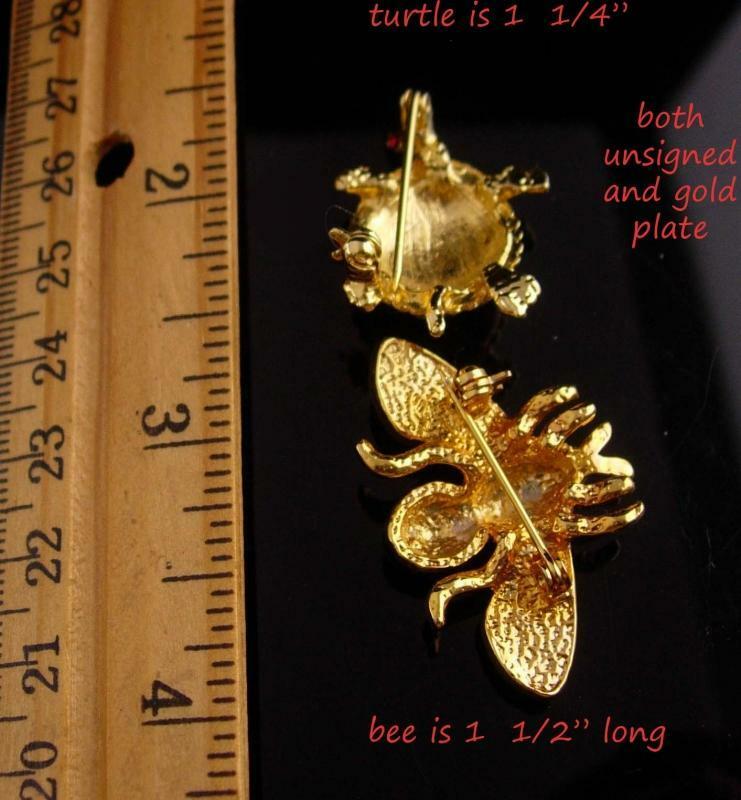 Perfect gift for a bee keeper or gardener. 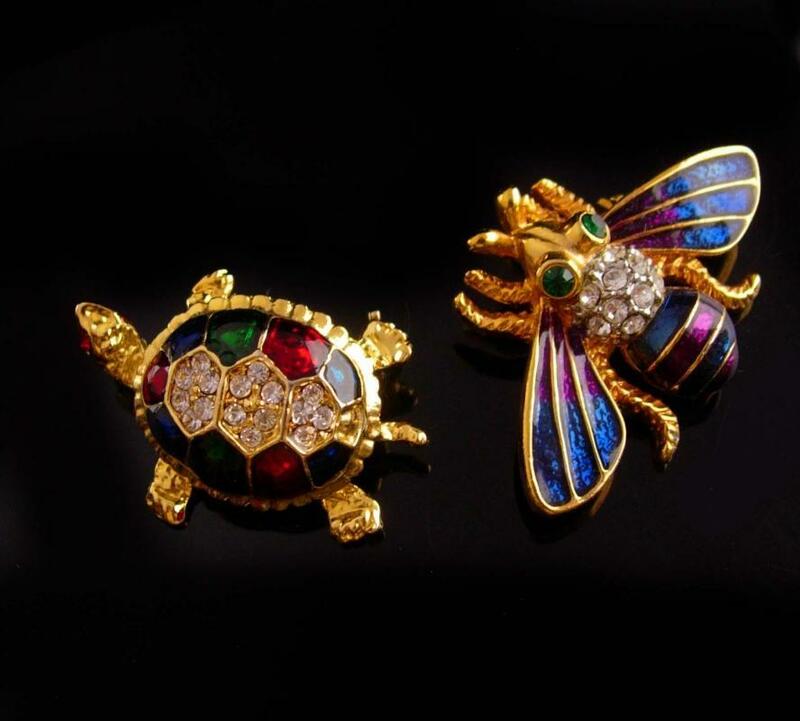 See all SIX photos for more dimensions and views.